Where Do Cockatiels Come From? Among the most popular breeds of pet birds, cockatiels are widely spread throughout many parts of the world. Cockatiels originate in Australia, where wild ones, known natively as quarrions or weiros, still range freely today. 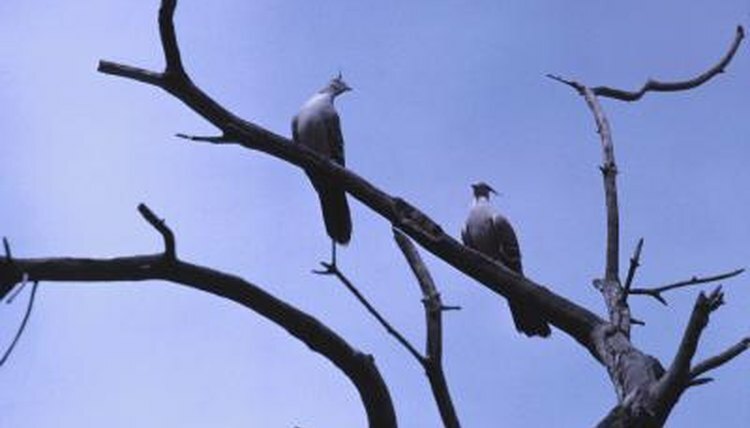 Where once pet cockatiels were exported from Australia, today the export of native Australian animals is no longer permitted. As a result, pet cockatiels are bred in captivity, usually in the same country where they are purchased and spend their lives. In the wild, cockatiels are distributed throughout the entire Australian mainland, although the southwestern region tends to have denser populations, according to the University of Michigan's Animal Diversity Web site. The island of Tasmania, located off the southern coast of Australia, is also known to have a population of wild cockatiels, although it is thought to have been transferred to the island inadvertently. Wild cockatiels are migratory birds whose migration patterns are specific to their region. In the wetter climates of northern Australia, cockatiels tend to be nomads, constantly on the move to find food and fresh water. Cockatiels inhabiting the more temperate and predictable climates of the southern regions migrate in large flocks according to the seasons. Cockatiels prefer inland areas with fresh water sources to the Australian coastlines. They generally avoid dense forest, preferring open woodlands and savannas. Their food of choice is Acacia seeds, and they can usually be found in areas with Acacia shrubs. They typically build their nests in large tree hollows set 3 to 6 feet above the ground and located near potable water. Wild cockatiels play an important part in Australia’s ecosystem by dispersing seeds of native plants. Although they typically prefer to eat sun-dried seeds when given a choice, at times they consume fresh seeds and fruit. Cockatiels tend to be messy eaters -- they can scatter seed as far as 5 feet away, according to Animal Diversity Web. What Is the Difference Between Finch Seed & Parakeet Seed? Do Doves Return to the Same Nesting Places Each Year?